Through HDK Industries Inc (HDK) (a US leader for HVAC filter media) and Cosmotec (UK subsidiary), Cha Technologies Group manufactures a range of nonwoven filter media ranging from G2 to F6 (MERV 2 to 11) using a variety of nonwoven forming and bonding technologies. Starting with a wide variety of staple fibers, which are then carded, the web is bonded either by needling or thermal bonding. These technologies allow for the creation of a wide range of filter media with tailored performance characteristics of efficiency, pressure drop and dust holding capacity. In addition, CTG manufactures a variety of filter media used in liquid filtration (process and food grade) as well as automotive filtration (synthetic air intake, pre-filters). Advancetex International manufactures a range of filter bags used primarily in industrial hot gas applications. In particular, the Ad-Flow™ system offers a unique, patented configuration increasing effective surface area and offering unique performance advantages. Advancetex has over 20,000 filters installed throughout the world, especially in the aluminum smelting industry. 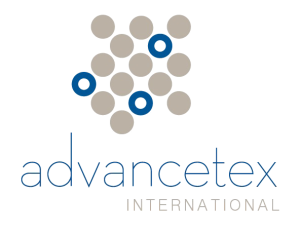 In addition, Fiber Innovation Technology Inc and Haining Xin Neng Fibers & Nonwoven Ltd (HXN) manufacture staple fibers suited for the Filtration industry, such as PPS, PBT, Ultem® and other specialty synthetic fibers.